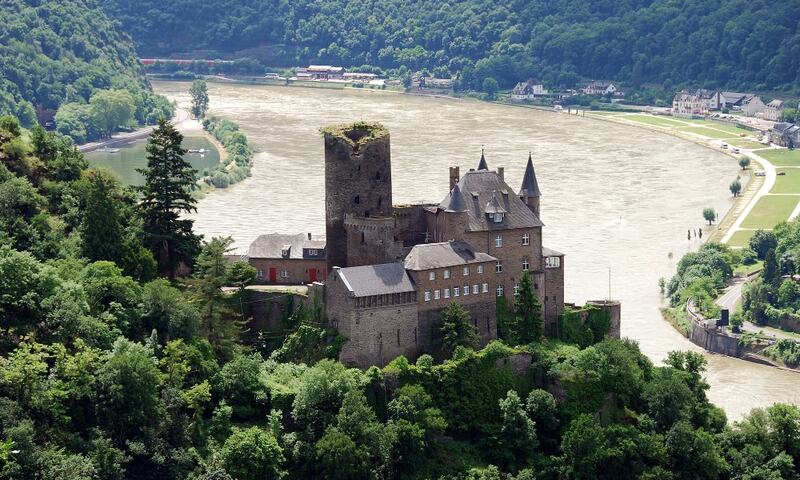 Katz Castle stands on a ledge looking downstream from the riverside at the town of St. Goar. It was first built around 1371 by Count William II of Katzenelnbogen. The castle was bombarded in 1806 by Napoleon and rebuilt in the late 19th century, in 1896-98. It is now privately owned, and not open for visitors.